Ti-tree lined streets, a sculpted shoreline, meandering river banks, a historic timber bridge, small jetties, the magnificent bluff and snaking walking tracks all combine to create a dress circle for the main feature…the sea and all its changing faces.All combine to set the stage in Barwon Heads, an idyllic seaside town on the Bellarine Peninsula, for the home studio of Mark Cairns. It is from here Mark draws his inspiration. 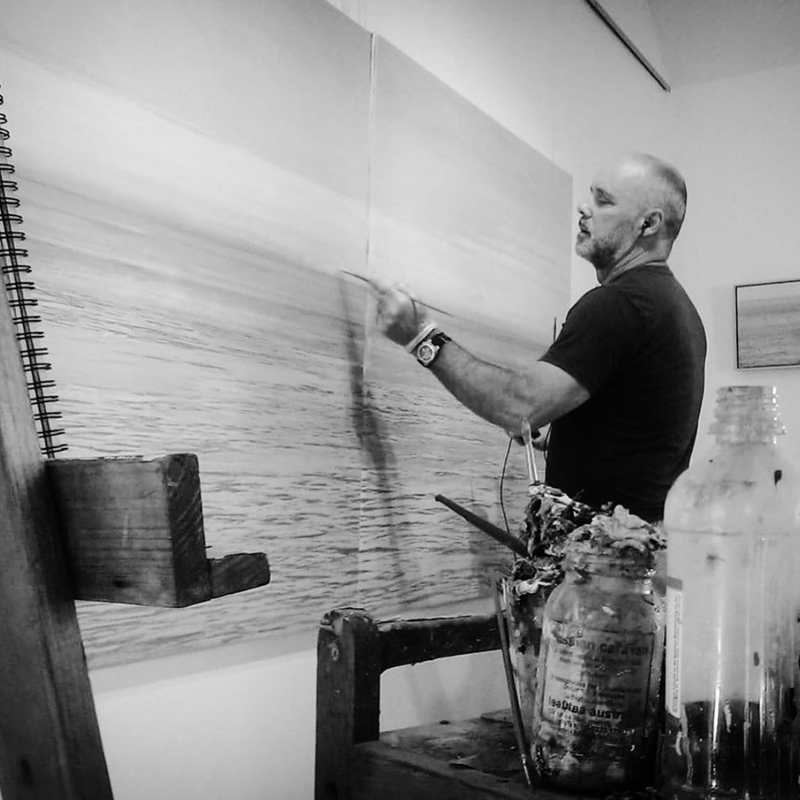 Mark paints the water and the moods created by the light flickering over the undulations formed by the elements, waves responding in harmony, to a masterful virtuoso performance. The horizon always there but never the same. The sky, like a performer in the background seeks adulation. Imposing its presence on the foreground. Mark’s environs are surrounded, by water but that is only the foreword.